Sometimes, you think we may not pay attention to what's written in the comment section, but we do! Some of the comments have been extremely informative when it comes to a significant event, and, sometimes, they are outright silly. But I do spend time reading them on a daily basis. So, I've decided to highlight some of the comments that were made during the last month. FL-LK-10 on 5/30/14: "Although we got very little rain, the temperature dropped significantly and there was an impressive purple sky to watch for hours. The little bit of rain was enough to make the southern toads appear in the yard and for them to call all night." FL-CY-10 on 5/27/14: "At 1:45 pm we were under severe thunderstorm/hail warnings. Wind was 42 mph, heavy squalls visible on the river, a family in a new 18' OI fishing boat was swept in against our dock, and all we got was .01" of rain!" FL-HB-29 on 5/3/2014: "Amount reported double checked. A review of map shows amounts reported varied a lot across the county. Average of county reported readings: 2.45 inches. Street in my neighborhood were flooded." FL-PK-15 on 5/1/2014: "Got more flooding than usual for this amount of rain. Soil was so dry that much of the rain rolled off like water does from the child's toy "Magic Sand" (tm). A lot more rolled into the street and down the gutters than soaked into the lawn." Colorado: Home of Rain, Hail and Snow! 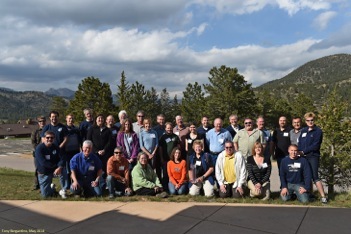 Each May, I feel very fortunate to head out to Colorado to take part in the annual meeting of WERA 1012, which is the group tasked with managing, educating, maintaining and improving volunteer weather observer networks used to collect valuable precipitation data in the U.S. and Canada; including the CoCoRaHS program. 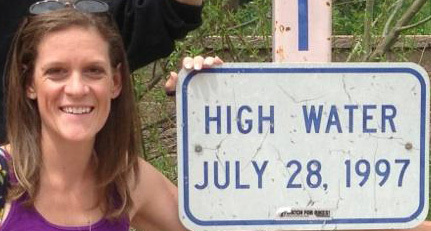 This year's meeting highlighted precipitation extremes, collaboration with other environmental citizen science networks, updating infrastructure and keeping observers engaged and involved in the various programs. If you've made an observation recently, you'll have noticed that the Spring/Summer survey is out and I'd like to ask you to take a few minutes to complete the survey. This is your chance to tell us what we are doing wrong, what we are doing right, and what you would like to see from the program. There are some fantastic plans in the works up at CoCoHQ and toward the end of the summer you'll begin to see some of those plans implemented. While out in Colorado this year, I got to see a few weather phenomena that we don't get to experience here in Florida. The first was snow in May. The week before the meeting, Colorado had a late season snowstorm that dumped up to a foot of new snow in parts of the Rocky Mountains. 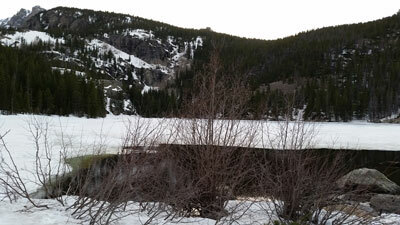 I traveled up to Bear Lake, in Rocky Mountain National Park, and was able to see the 40" of snow that was still on the ground. 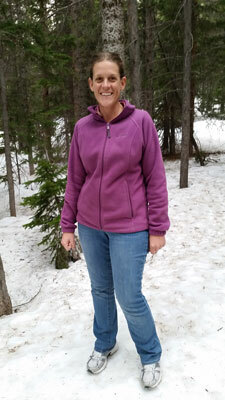 At nearly 9500 ft, it was a bit too cold for this Floridian and walking on the snow made for a difficult time, but it was beautiful! On May 21st, I was driving fellow CoCoRaHS Coordinators Dave Robinson (NJ) and Nancy Selover (AZ) back to the airport when we started receiving messages from some of our colleagues at Denver International Airport (DIA) about how they were being ushered into tornado shelters because a strong supercell thunderstorm was threatening the area. After pulling up the radar, we decided to take an alternative route to the airport, to avoid being directly in the path of this intense storm. 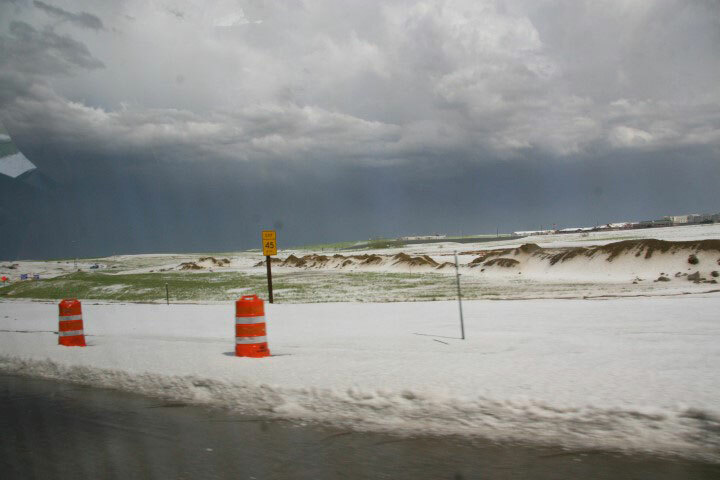 As we made our approach from the west toward the DIA, we encountered hail. This wasn't like hail we get in Florida, where as soon as it hits the ground it begins to melt. No, this hail came down so fast and so hard it began accumulating! At one point during the drive, the hail looked to be about 4" deep and snow plows had been brought out to push it off the road. With that... I bring up the weather phenomena that we get to experience that those in the west don't - Hurricanes. "It Only Takes One;" is the mantra being spoken as the 2014 Hurricane Season officially started on June 1st and will continue until November 30th. The last hurricane to make a direct landfall in Florida was Hurricane Wilma (Category 3) in 2005, and in the last 9 years, the state has only been impacted by tropical storms. While we've been lucky that we haven't seen the destruction from winds and storm surge, these tropical storms have brought torrential rains that have caused flooding issues across the entire state. You've heard me mention it before, but I strongly urge you to take action and prepare action plans and hurricane kits now so they will be ready in the event of a landfalling hurricane. While current forecast predictions for the season call for a near-normal year in terms of activity, it only takes one landfall to cause havoc; for example, Hurricane Andrew in 1992 occurred during a fairly inactive hurricane season. 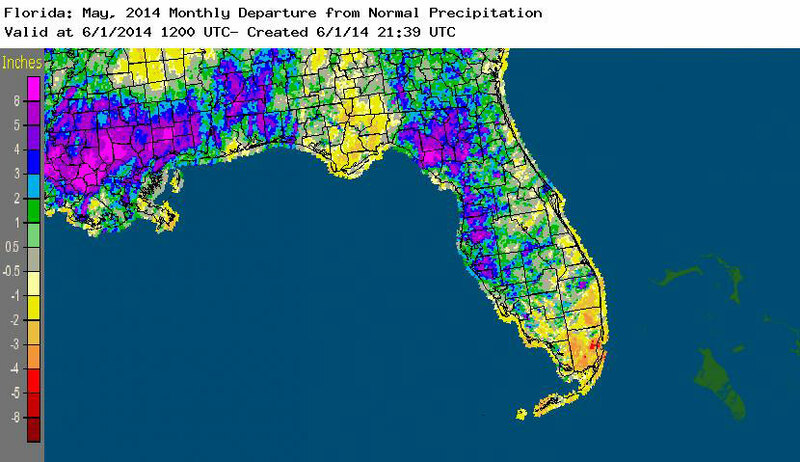 Portions of the northwestern Panhandle, the Nature Coast, and north Florida reported monthly rainfall totals well above normal, while the rest of the state saw below average rainfall during May (Figure 1). Departures from normal roughly ranged from -2.36" to 6.44" (Table 1), though localized parts of Florida saw rainfall totals that were as much as 5.00" below normal to over 8.00" above normal. 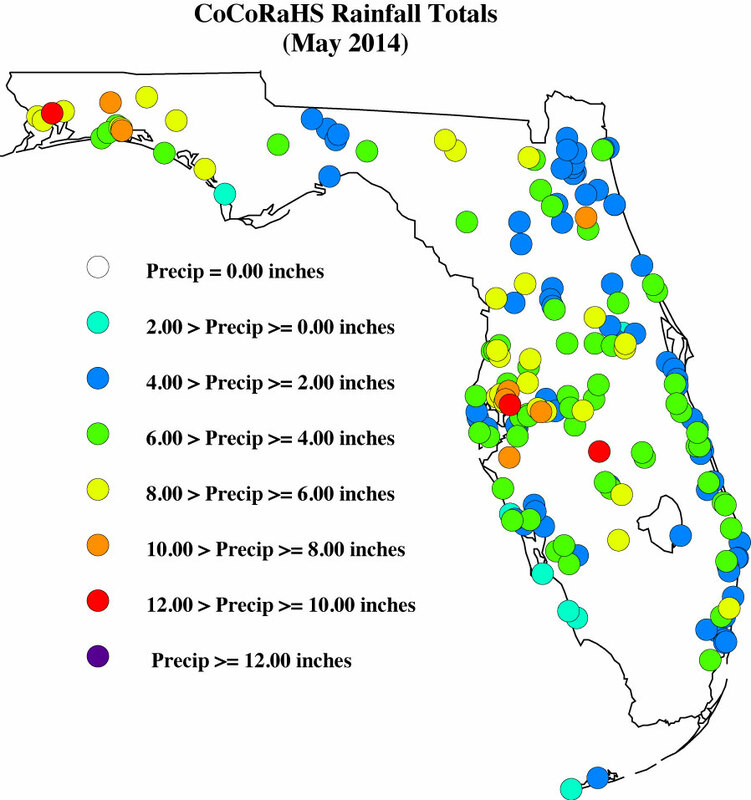 May 2014 was the 4th wettest on record at Tampa. There were multiple 24-hour precipitation records broken for the month (Table 2). Table 1. May precipitation totals and departures from normal (inches) for selected cities. 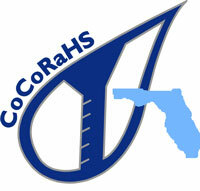 Here are the CoCoRaHS rainfall totals for May from some select CoCoRaHS stations across the state. The month of May started off with the entire state free of any dry or drought conditions. The unusual wet conditions that most of the state has seen during the first part of 2014 continued, though portions of the southern part of Florida has remained dry throughout the time period. 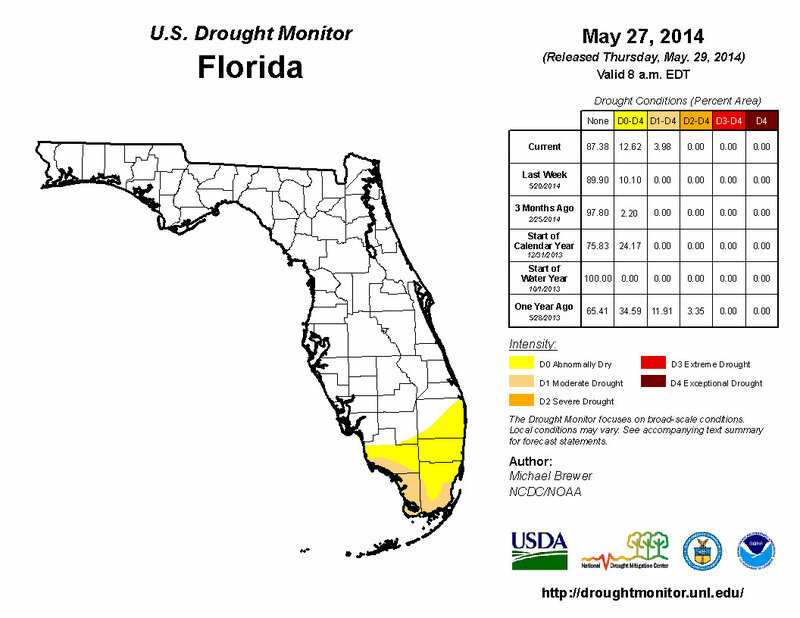 By the second week in May, abnormally dry conditions were reported in Broward, Collier, Dade, and Monroe counties. The lack of rainfall for the remainder of the month led to an increase in observed drought conditions, calling for moderate drought (D1) to be recorded for coastal portions of Collier, Dade and Monroe counties. Lake Okeechobee is currently at 12.54 ft. and is positioned well for the start of the summer-wet season.